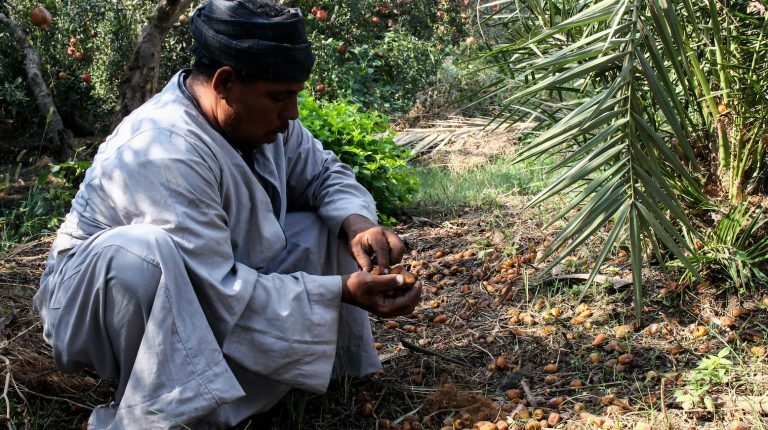 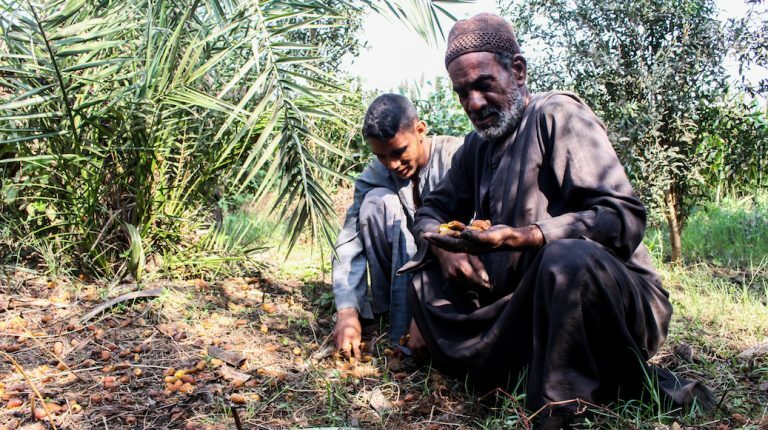 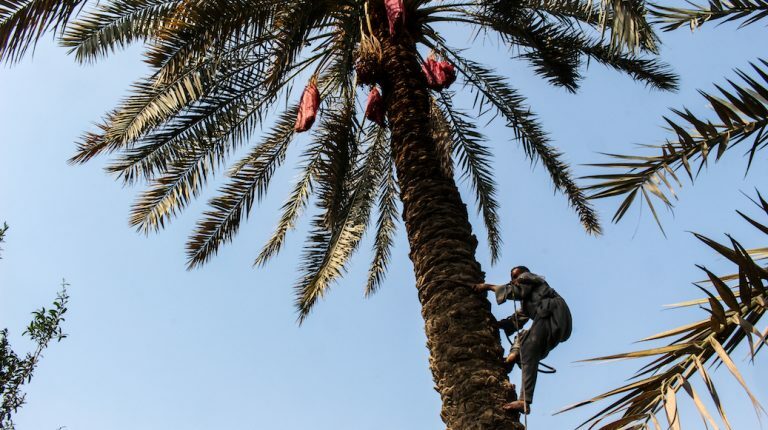 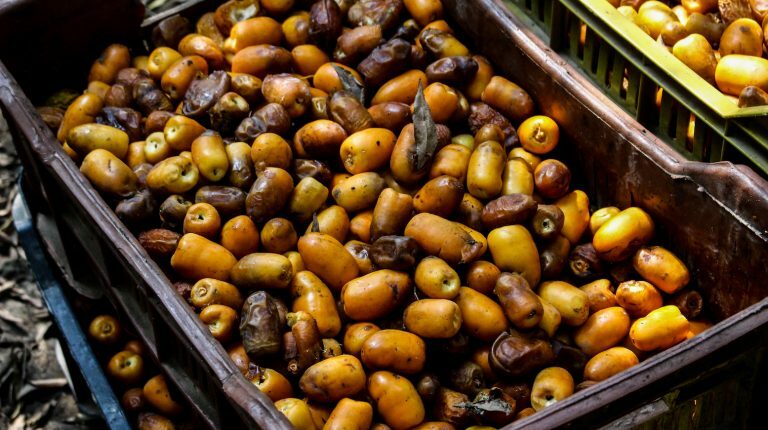 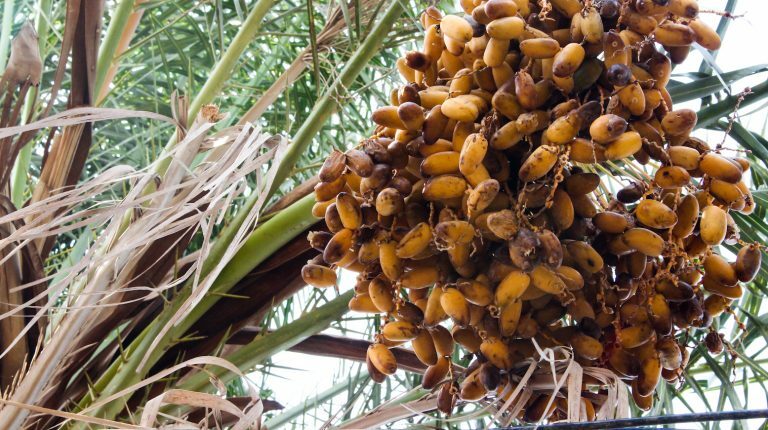 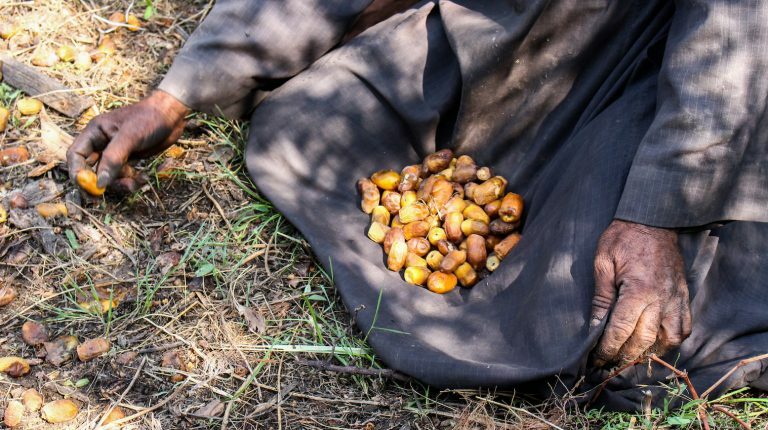 As winter dawns, October marks the start of the dates harvesting season, which represents more than just the favourite fruit for owners of date palm trees. 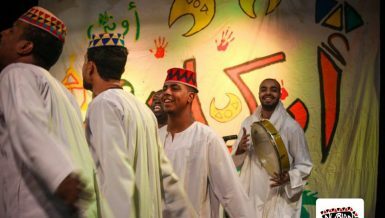 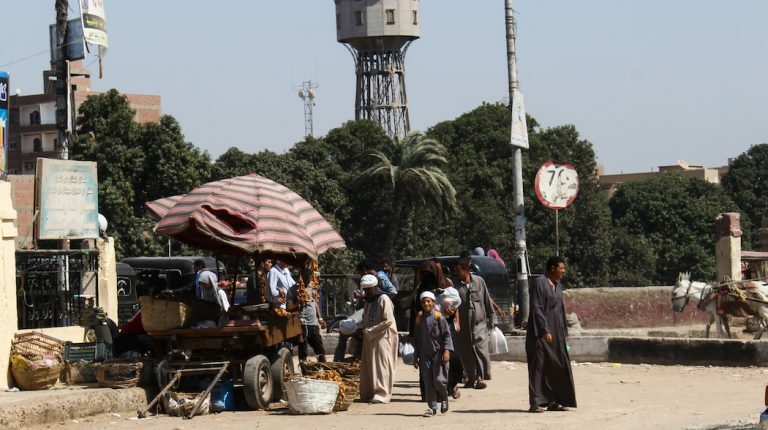 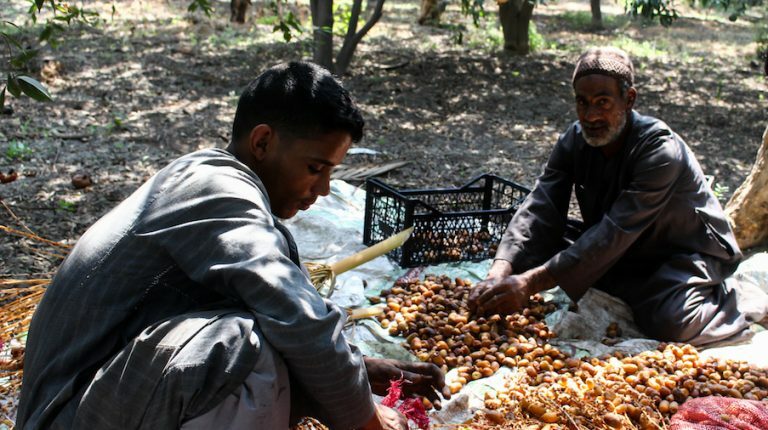 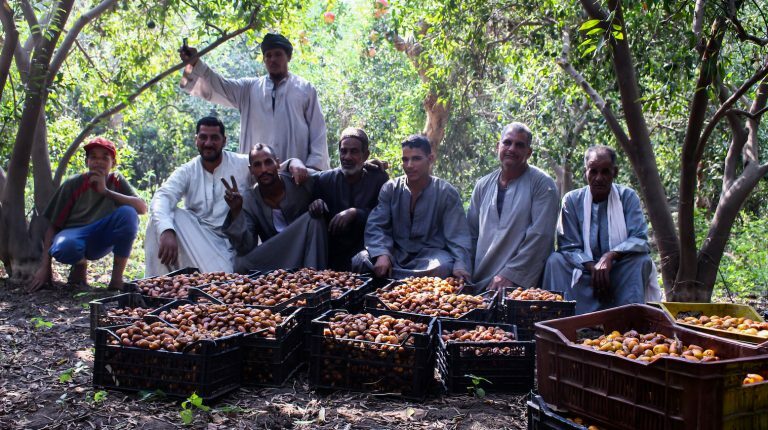 At one of the furthest cities from Cairo, citizens of Manfalut in Assiut governorate rely on dates for a living. 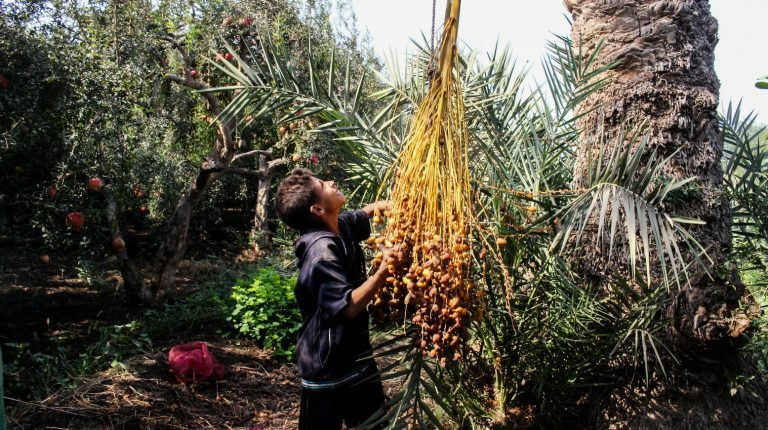 Planting and harvesting dates are the population’s main income source in the rural area. 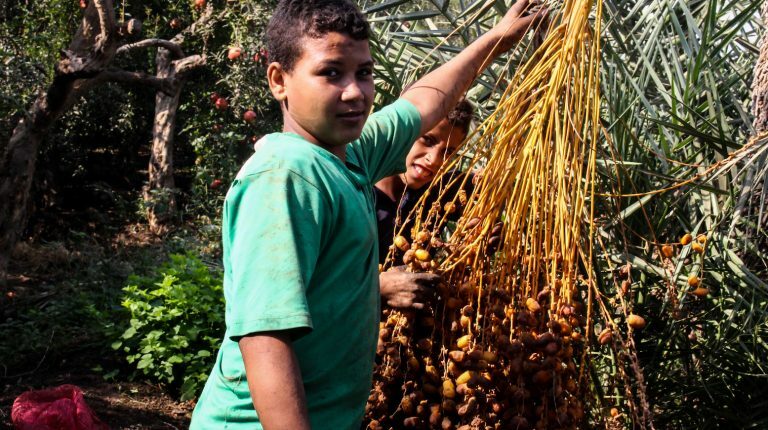 From an early age, boys learn to climb palm trees and collect dates which will soon fill the Egyptian market. 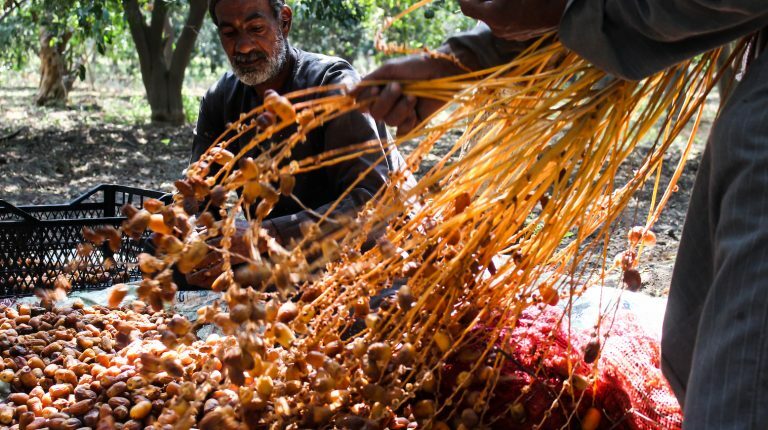 Upper Egypt’s dates are known to be one of the highest quality, and tasteful fruits in the world. 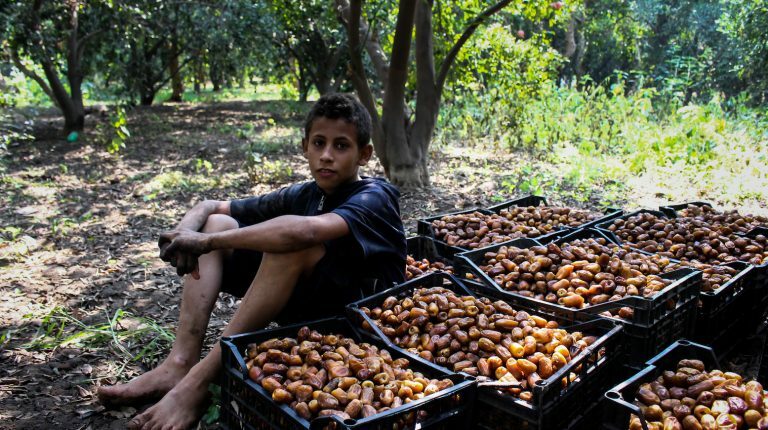 The planting season starts in February and March. 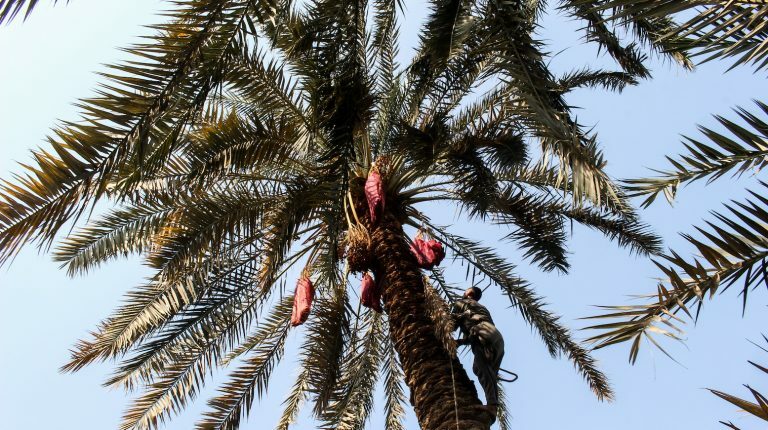 For almost six months, palm trees are well maintained, using natural fertilisers. 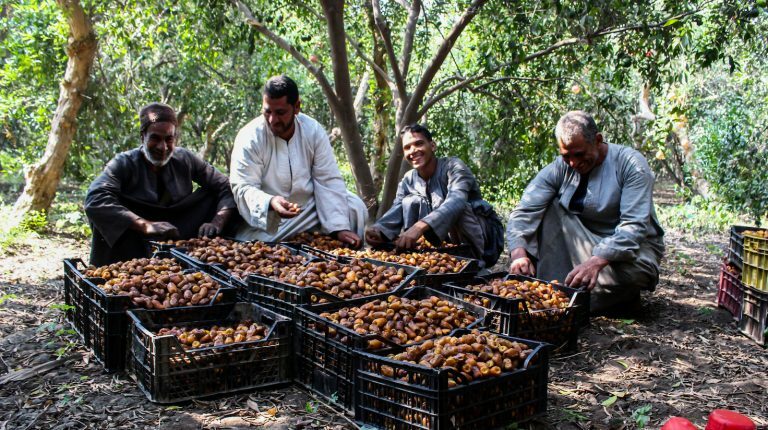 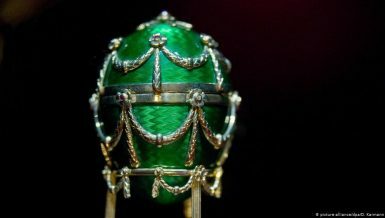 Throughout the six-month growing process, dates turn from the colour white to green, before they end up yellow when it becomes time to harvest them. 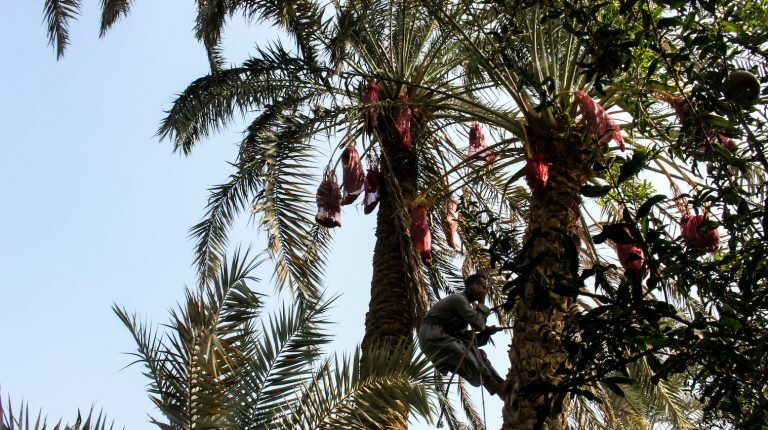 The Tale’ Al-Nakhil (palm climber) is the person’s nickname- in charge of climbing the palm trees to collect dates and cut palm leaves. 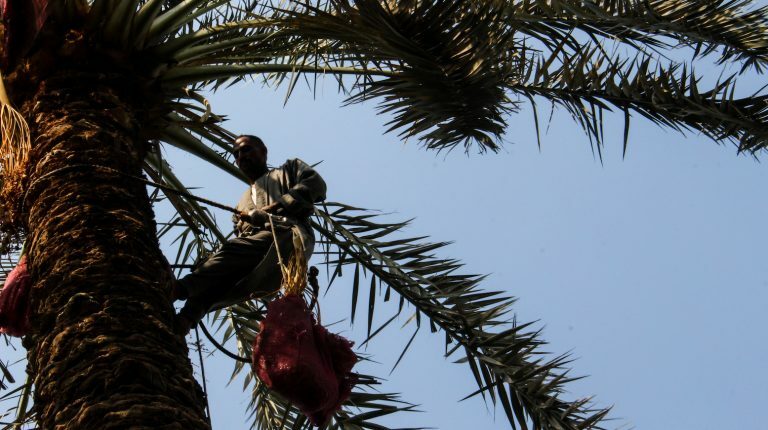 In Assuit, date collectors need to climb palm trees a maximum of five times, and the sixth time is to cut the leaves. 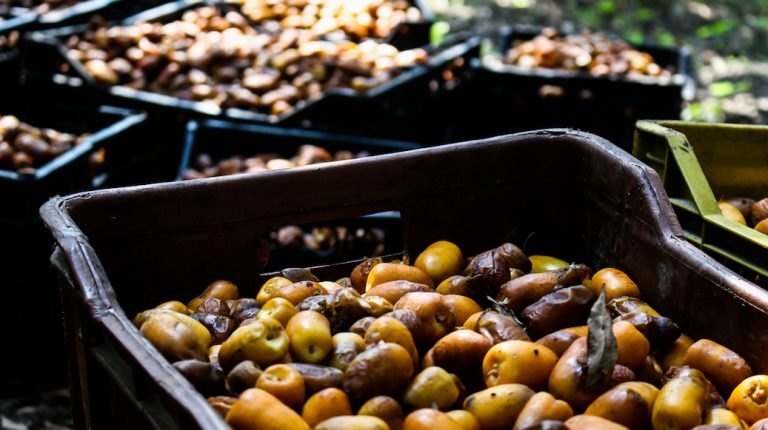 The date colours vary from yellow to brown, depending on how ripe they are, and they change to dark brown following the drying process. 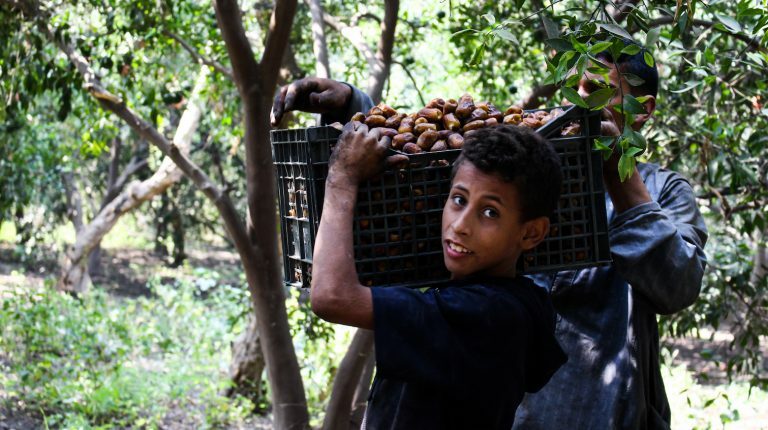 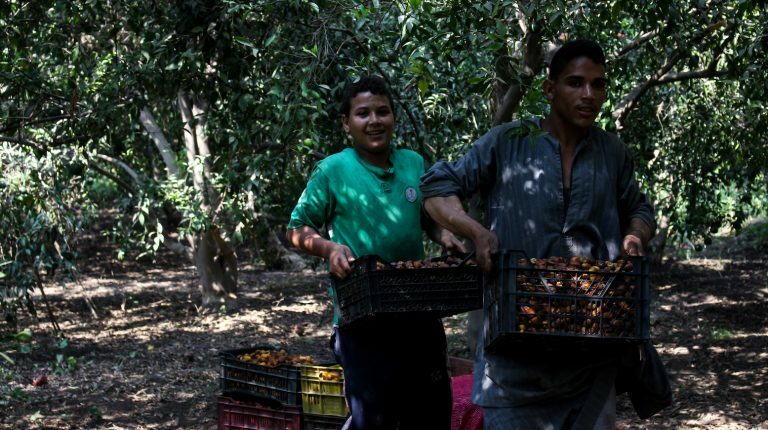 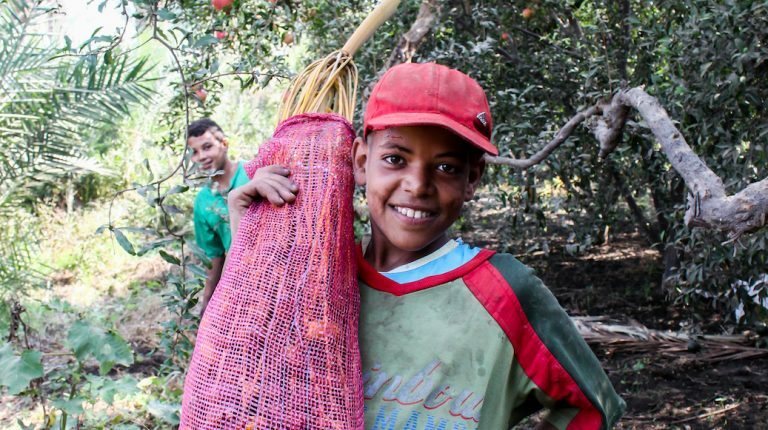 Children aged 10 take part in harvesting, and pack the dates into boxes for sale.